"Heart rate monitoring is the single most accurate means to understanding how your body is responding to exercise and the activities of daily life." That's the confident claim you'll find topping the heart rate training page on Mio's website. The quote comes from Mark Gorelick PhD, biomedical science director of product science & innovation at Mio Global. It's pretty unequivocal, albeit hardly surprising, seeing as Mio is one of the leading providers of optical heart rate sensors to the wearable tech world. Gorelick's assertion reflects a current fitness technology trend. The fact is, whether we want to burn fat, run faster or just improve our general well being, heart rate training is being pushed as the ideal way to make the time we spend working out more effective. From Apple to Garmin, to Fitbit to TomTom, the fitness tracker and sports watch manufacturers have been falling over themselves to find more convenient ways for us to track our bpm. 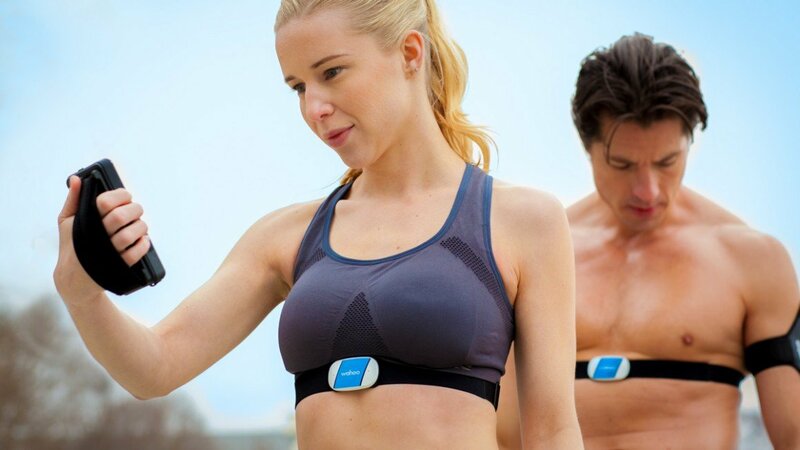 Chest straps are being ditched in favour of optical heart rate sensors that work off your wrist. Companies like Jabra are even putting heart rate sensors into headphones. But is heart rate training really all it's cracked up to be? At this point I'm going to come clean. I'm an obsessive heart rate tracker. As a marathon and ultra runner I've used heart rate as a training tool for years. I've tried chest straps, optical heart rate watches, headphones. I've chased marathon personal bests using my real time heart rate to try and run a smarter race. For a long time I've bought into the idea that heart rate monitoring gives you more targeted results from your training, can be a useful way to prevent over training and, over time, paints the best picture of how your fitness is progressing. Lack of sleep can raise your HR by 5-10 bpm. We naturally have a lower HR in the morning that we do in the evening so if you train in the evening you're going to get a different reading. There's natural daily variability in heart rate too. It's perfectly normal for your bpm to fluctuate by 2-4 beats from day to day. We all know stress can raise heart rate, so training after a particularly brutal day can have an impact. Weather, or more specifically, the temperature, has a big impact on heart rate levels. Thanks to our body's clever cooling systems, hotter it is the harder your heart works. Or any caffeine intake for that matter will affect your heart rate for up to 24 hours. This is more pronounced in those with occasional caffeine habits than those of us sinking coffees more regularly. Stress also raises you hear rate so if you're running after a particularly gnarly day at the grindstone your bpm could be higher. But the problem with humans is that we're complicated beasts. No two of us are the same and, even we ourselves can change from day to day. For this reason personal fitness is a bespoke suit that needs re-tailoring regularly to allow for our individual physiological lumps and bumps. And that presents a problem for heart rate trackers that tend to take more of an off-the-shelf approach. For a start using zone training requires you to know your heart rate zones, which is often calculated from your maximum heart rate (MHR) but getting this benchmark stat is far from an exact science unless you have access to what's called graded fitness test. For most people these will either be too expensive or too involved. Tickle Google with the search term "How to find my maximum heart rate" and you'll get numerous alternative methods, mainly based on formulas. The problem with formulas is that they're based on averages, not you specifically. That means before we've even strapped on a chest strap, we're back to buying suits off the shelf, where your tracking is based on a guesstimate at best. Even if you do know your actual heart rates zones from a graded fitness test, there's also the big question around the accuracy of the devices on the market. A couple of beats per minute can make the difference between training in the fat burn zone or working your aerobic capacity. Take me for example, during my training for the London Marathon in 2014, I underwent a graded fitness test, including VO2 Max, at the PaleoGym in London. It gave me the most accurate picture possible of what happens to my body's systems as my heart rate increases. As you can see there's a range of just 9 bpm between my endurance (fat burn) zone and my maximum effort. So when I compare a chest strap product with an optical heart rate watch and see there's can be up to 10 bpm discrepancy, it's cause for concern. These stats also only relate to my profile at that moment in time. After a month of training, this picture can have - and arguably should have - changed. If you're a professional athlete with access to regular in-depth tests and teams of sports scientists monitoring you all the time, heart rate can be a useful indicator, but it tends to be used with other data to fine tune training schedules, spot over training and improve performance. It's part of a mix of information coaches use to try and keep track of this moving target we call fitness. One way you might use heart rate to indicate improved fitness is to run the same five mile route one month apart, with training in between. Being able to cover the distance faster with the same average heart rate, or taking the same time but seeing a lower heart rate is, in theory, a sign that you're fitness is improving. However, let's say you ran that first five miles in the evening while you were sleep deprived, stressed, dehydrated, having consumed caffeine and all of this on a very hot day. Then ran the second well rested, feeling stress-free, well hydrated, caffeine free on a day where the temperature was a lot lower. It's perfectly possible that you'd get heart rate results that look comparatively positive, suggesting an improvement, when in actual fact, it's just the external influences on your heart rate that have changed and not your actual fitness. The fact is heart rate alone isn't an accurate indicator of true fitness. Nor is it a perfect way to assess workout intensity. There are a lot more factors at play. But isn't some data better than no data? This isn't to say heart rate monitors aren't useful tools. After all, the average person doesn't have access to lab equipment to continually monitor their progress. Today's influx of heart rate trackers give us a rough ballpark. For most that's enough. At present heart rate monitoring remains one of your best options for tracking progress but it's important to understand its limitations, in order to get the most out of your device and to hit your fitness goals. It'd be unfair to say heart rate training should be taken with a pinch of salt but just like that step tracker you own might sometimes suggest you've taken more steps than you really have, the information you get from your heart rate monitor should be viewed as an approximation of what's really happening. These devices need to be part of your approach, not the entirety of it.